How can sports and remedial massage help me? 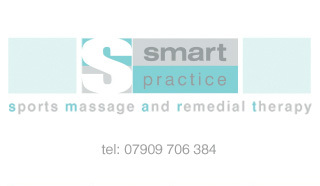 Sports and remedial massage (also known as soft tissue therapy) is a specialised, dynamic deep tissue massage. Problem areas are identified in the soft tissues (muscles, joints, ligaments and tendons) and a customised treatment is provided with the aim of maximising function and restoring the body to a pain free balanced state. The massage treatments use a variety of techniques which are highly effective and proven in relieving pain, rehabilitating injury, facilitating movement and releasing stress - whether the result of sport or leisure pursuits, a demanding job or lifestyle, poor posture, pregnancy or medical conditions such as arthritis. Massage is one of the oldest forms of medical treatment that has been shown to efficiently encourage the healing of mind, body and spirit. It is found in most cultures as an integral part of healthcare. Sports Massage and Remedial Therapy has developed over the years to deal with the specific conditions that the human body experiences. Many doctors, consultants and other medical professionals recognise Sports Massage as a well established, respected and beneficial therapy. So, Sports Massage and Remedial Therapy is not only for sports people. It is a safe and effective treatment which benefits everyone — people of all ages and condition who’ve never played sports! It is a treatment for the whole body, as well as the area where a specific problem has been located. The aim of the therapy is to find and treat the cause of the disorder, not only the symptoms. The pain, injury or area of dysfunction is identified and if need be traced back to the original area of insult. Specialised deep tissue massage techniques are used that focus on the deeper layers of muscle tissue. This releases the chronic patterns of tension in the body through slow strokes and more direct deep finger pressure on the contracted areas, either following or going across the fibres of the muscles, tendons, ligaments and around joints. The purpose is to "unstick" the fibres and breakdown scar tissue while releasing deeply-held patterns of tension. Formal training has been undertaken in the following Remedial Therapy techniques - Muscle Energy Technique, Soft Tissue Release, Neuromuscular Technique and Trigger- point therapy, Connective Tissue Manipulation, Facilitated Stretching and Remedial Exercise. Each of these techniques can be drawn upon and combined to provide you with the massage that is appropriate for YOU. Sports Massage and Remedial Therapy can bring relief from a wide range of recent and longstanding muscle and joint conditions. Many people also use massage as a way of relaxing mind and body and counteracting stress. Also, if you are fit and healthy, a regular massage treatment will help you to stay that way. An injury that’s not getting better? A medical condition that would benefit from sports massage? Sore muscles during or after exercise? 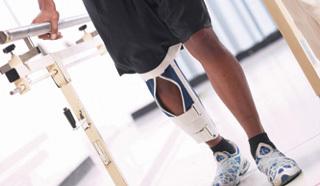 Is an injury preventing you from exercising? Do you finish the day with pain in your back, neck or wrists? Off work through back pain or repetitive strain injury? Does work make you mentally stressed and physically tense? Aching from cooking, cleaning, gardening or decorating? Suffering from backache, shoulder or neck pain? Tired all the time or having difficulty sleeping? Are you bothered by leg cramps, swollen ankles/hands? Developing varicose veins, stretch marks? Feeling anxious or stressed at this time of transition? What are the health benefits of sports and remedial massage?